Hola ^^, estoy intentando instalar Snow Leopard con un chipset VIA y un disco SATA, pero a la hora de seleccionar el disco, este no est?. Tampoco est? en diskutils, as? que asumo que no est? siendo detectado. Tambi?n agregu? el numero de serie de mi chipset IDE sin suerte. 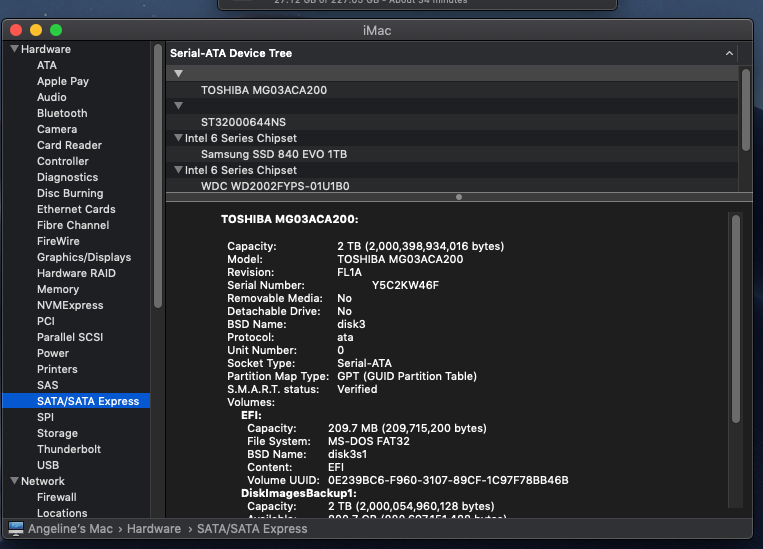 A mi me ha funcionado genial en una placa base ECS EliteGroup P4890t-m2 (que tiene chipset ATA) con Snow Leopard. i know this is a very, very old thread... but I wanted to say that this kext worked for me to get an old SIL3512 v1.3 card working under 10.14 Mojave. My card is a v1.3, which has a device id of 0x65121095, but otherwise its the same card. I added 0x65121095 to the info.plist file, and rebooted... and now the attached drives are visible and working. the drives do not show any controller information under system profiler, but the drives themselves are showing. Intel DQ67OWb3 + i7-2600 + SIL3512 v1.3 PCI card working fine on 10.14.4.